Printed Circuit Boards (PCBs) are used in a wide variety of electronic devices, including radios, computers, pagers, and radar machines. The boards support and connect electrical components using traces, pads, and other features. The single-sided PCB consists of only one layer of base material with one end coated with a very thin layer of metal, typically copper. It also includes a wide range of electronic components on one single side. This type of PCB is usually used in simple electronic devices. 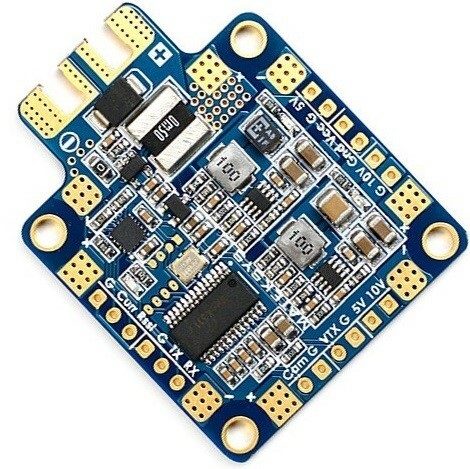 The double-sided PCB is more popular than the single-sided boards. Both sides consist of metal conductive layers. They also contain other elements that allow designers to attach circuits on one side of the board to circuits on the other side of the board. The rigid PCB consists of solid and rigid material such as fiberglass. The rigid material prevents the board from twisting. 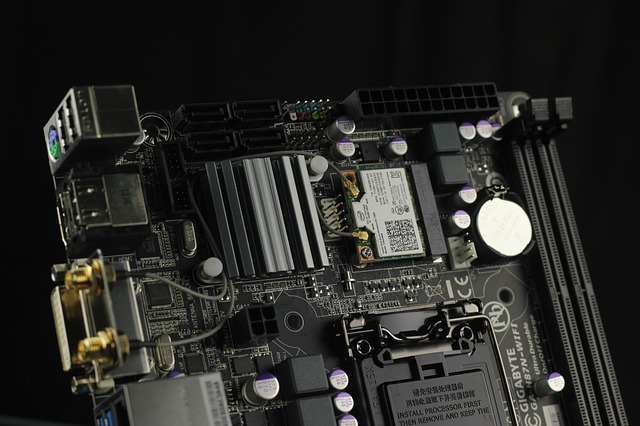 Great examples of rigid PCBs include motherboards found in computer towers. 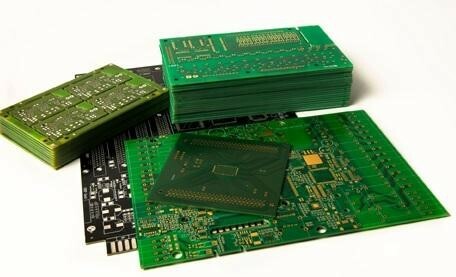 The multilayer PCB is more complex and has at least three layers of conductive material. The boards include additional layers that are situated beyond the bottom and the top layers in a design that is similar to that of a double-sided configured board. Multilayer PCBs are used in a variety of devices, including computers, file servers, and satellite systems. Unlike the rigid printed circuit boards, the flex board is made of a flexible plastic surface. This type of material allows the board to conform to a specific shape during its application. Additionally, unlike the rigid boards, they can be shifted or turned during use without harming the circuits. As the name suggests, the rigid-flex board features elements combining those found in both the rigid and the flexible PCBs. These types of boards have been used in the military and aerospace industries for over two decades. The professional team at BESTProto offers circuit board testing and circuit board Assembly for a wide range of customers, including businesses and governmental organizations. 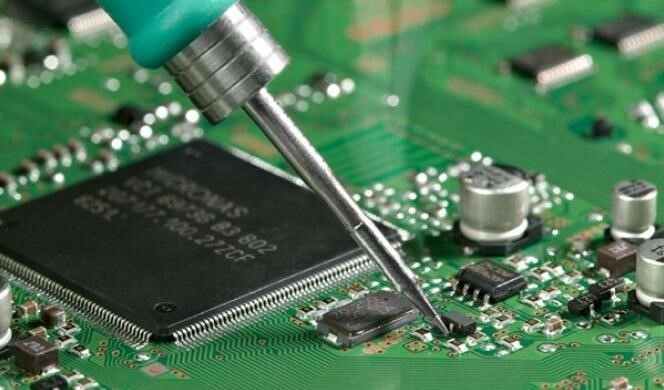 Contact BESTProto today for high-quality circuit board repair service delivered with the support of experienced technicians. Printed circuit boards have found their way into everything from toasters to web servers. They help mechanically support electrical components while also providing high-quality conductors to allow electricity to pass through a circuit freely. This versatility is helping engineers and hobbyists think of many new ways to use PCB Assembly technology. The following examples are just a few of the exciting ways that circuit boards can change electrical engineering. When technologists develop a new circuit, they work with a bare P.C.B. assembly to make sure that the design is viable. Breakout boards consisting of a minimal PCB and a single component have helped prototyper’s speed up how long it takes to test new circuits. Some people have even turned this aspect of engineering into a hobby. Computer bus architecture is making a huge comeback because the number of transistors that can fit on a single circuit board is skyrocketing to some amazing levels. Devices that were once external peripherals can now fit on tiny PCB assemblies. Integrated logic boards are helping marry some types of interfaces directly with the microchips they send data to. This is helping engineers make some very small devices. RoHS rules have banned the use of solder containing more than 0.1 percent lead by weight when building printed circuit boards. Engineers are now testing newer greener alternatives that use other compounds to adhere to these rules. Printed circuit boards have come down in price so much that schools can buys pallets of them for use in technology classes. Some of these don’t even need to be soldered, which is great for students. Home and business automation is a hot topic, and this means that countless new types of circuits have to be developed that can connect analog and digital components together. Engineers are starting to really push the envelope when it comes to fitting circuit boards into every type of consumer product imaginable. While printed circuit boards have been around for a long time, engineers are still developing innovative ways of using them. You never know where you might see one turn up next. BESTProto leads the pack when it comes prototytping, assembly and production. What are PCB’s and How Are They Made? Printed circuit boards (PCBs) are self-contained modules found in all sorts of electronic devices. They contain electronic components that are connected to form circuits by depositing, or “printing,” conduction materials in a thin layer onto a substrate’s surface, which is known as an insulating board. There are three basic kinds of printed circuit boards based on the method of construction: single-sided, double-sided, and multi-layered. Single-sided PCBs have all the unit’s circuits printed on just one side of the insulating board. When there are too many circuits to pack onto a single side of the substrate, both sides are used, creating a double-sided PCB. For even more complex circuit boards, a substrate comprised of multiple layers of components is used with each layer separated by a layer of insulation to create a multi-layered PCB. PCB assemblers use either plated through-hole technology or surface-mount technology to connect a PCB’s components and circuits to one another. The older method is the plated through-hole technology in which holes are drilled through the insulating board and plated with a conducting material. Wires, called leads, are threaded through the holes and are soldered to connection pads on the other side or layer. With the more recent innovation of surface-mount technology, small protrusions shaped like the letter “L” or “J” jut from the surface of each component on the substrate, making direct contact with the printed circuits. In plated through-hole design, friction between the sides of the holes and the layers holds the components in place, with help from gravity, until the elements are soldered. In surface-mount design, a solder paste made from solder, glue, and flux are applied immediately to hold the elements in place while the connection is secured by melting the solder in an oven. 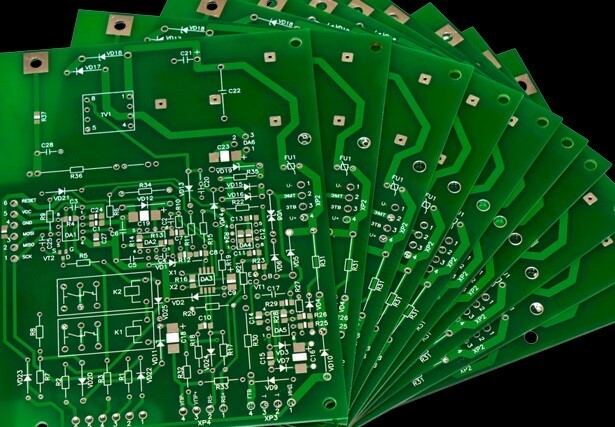 Surface-mount technology eliminates the need for drilling and the clutter of connection pads from the PCB construction process although it does require more delicate and precise placement of the various components. There is a third type of circuit board construction technology used to make a relative of printed circuit boards known as integrated circuits — also called microchips or ICs. These units contain considerably more circuits than any type of PCB, which are produced electrochemically directly in place on the surface of a tiny silicon chip. This technology is commonly called electro-mechanical. A similar type of circuit, called a hybrid circuit, combines the technologies and resembles a PCB with the exception of certain circuits developed in place electrochemically. If you’re looking for leading-edge PCB assemblers to handle all your printed circuit board construction needs, BESTProto has experience in PCB construction for military, medical, industrial, and telecommunications uses. Printed circuit boards are everywhere! You probably use one more often than you might think. But what exactly are they and how do they work? Printed circuit boards, more commonly referred to as PCBs, are thin boards made from an insulating material, with a coated metal surface, sometimes on both the top and bottom. Small etches are created in the metal, which allow pathways and various metal components for electricity to travel through various components. These are mounted on the board with solder. But just because PCBs are found virtually everywhere doesn’t mean you’re the PCB expert! Here are a few interesting facts about PCBs that you probably didn’t know! The majority of PCBs are an iconic, dark green color. Why? The green you see is actually the soldermask that is showing through the glass, not the color of the PCB itself. While no one knows for certain where the use of green came from, there are a few theories. The American military initially used PCBs. Therefore, some people speculate that green was regulation standard when being used by the military, and has spread from there. Others think that green could have been the color of the residue from the original soldermask that was used to create PCBs. We continue to use green as a matter of convention, even though the original materials are not still used today. The third theory that some people believe is that the color green makes it easy for engineers to find faults in the traces, so many companies tend to prefer green to other colors. But modern PCBs can be made in almost any color! It was invented by an Austrian! Paul Eisler, an Austrian inventor, is credited with the invention of the PCB. However, even though Eisler is given credit for the invention, development that ultimately led to the invention dates as far back as the 1890s. In 1936, Eisler was working on a radio when he first invented the PCB. They didn’t really take off and see mass usage until the 1950s, but their popularity has grown significantly from there! Today, pretty much every electronic appliance that you use on a regular basis contains a PCB of some type. Computers, printers, cell phones, digital clocks, microwaves, televisions, stereos—the list goes on! PCBs are so common, that you probably don’t even realize that you are using a device with one most of the time! Most electronic devices are composed of wires, as a means of transmitting energy from one component to another. However, PCBs are different. PCBs use copper tracers instead of wires to transmit energy. This allows PCBs to be a lot smaller, because tracers take up less space. Before PCBs are physically made, they are designed using computer aided design (CAD) software. CAD software prepares the specific layout data for the prototype PCBs. This allows the board to be tested, and to check that all of the tracers are properly connected. CAD programs are used to design not only the layout of the PCB, but also the schematics of the board. PCBs are made up of several components, probably more than you ever imagined! Each component of a PCB has their own individual properties, including resistors, potentiometers, capacitors, inductors, relays, batteries, ruses, and transformers, to name a few! PCBs can be fully customized to fit whatever specifications you need. However, fully customizing a PCB can be very costly to ensure that every aspect is customized to your specific requirements. Since the first PCB was invented in 1936, PCBs have changed immensely. Modern PCBs are smaller, faster, and more efficient to build. The technology that goes into building PCBs is ever changing. PCBs are just getting better and better! With the advent of smaller and smaller electronics, PCBs have had to keep up by becoming smaller as well. Surface mount PCBs can be up to 1/10 the size of through-hole circuits. PCBs are strictly governed by physics. Electrical engineers must keep Ohm’s Law in mind when designing a PCB. This law dictates the relationship between current, resistance, and voltage. In other words, Ohm’s Law is the principle that electrical current is proportional to voltage, and inversely proportional to resistance. The different laws of physics strictly dictate the ways in which prototype PCBs can be designed and built.